Gathering My Roses: New Balance MULTI-SPORT 851: CLOSED! New Balance MULTI-SPORT 851: CLOSED! Hello again! It's me, Mike (aka Review Daddy) -- and I'm back with a review of the New Balance Multi-Sport 851. The New Balance 851 is a lightweight and breathable multi-sport shoe that is positioned to be the “little brother” to the 1520 – slightly less aggressive, but with much of the same technological and visual DNA that make both shoes so versatile. Designed for a variety of terrain and built to handle whatever is thrown its way, the New Balance 851 is the one shoe you’ll need for all of your adventure travel and weekend activities. Composed of high quality leathers, the 851 offers a waterproof suede and a water resistant mesh package. The shoe also features a great technology story complete with ABZORB® cushioning, a Stability Web for lightweight midfoot support, and a high traction outsole offering you the protection and support you need when the action heats up. I was really excited when my new MO 851 shoes were delivered. I'm a Land Surveyor and I'm on my feet and moving ALL day long. When the Survey doesn't require boots, I prefer lightweight, breathable footwear. The first day that I wore these shoes, I admit, I wasn't very happy. They seemed a bit tight and the box seemed a bit short. 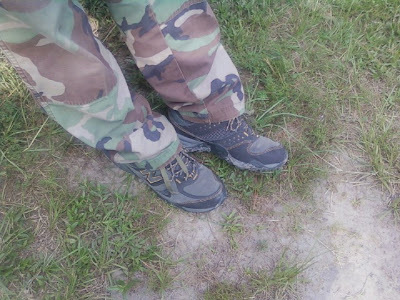 However, I know all shoes have to be "broken in" and I wore them a couple of days later on a survey. And you know what? They were great. They conformed nicely to the contour of my feet and "gave" a bit in all the right places. Even the box fit better after a few hours of wear. I'm very happy and very satisfied with these shoes and their performance in the field. New Balance got it right. The shoes are lightweight, but sturdy (i.e they can take a beating! ), breathable (very important), and, to my great relief, they are absolutely water-proof. I was up to my eyeballs in the water and muck and my feet stayed dry. That, my friends, means everything to someone who's out in the woods, swamps, etc. Dry feet are a life-saver. Trust me. I know this. Will I recommend them? You bet I will! Would I buy them? Absolutely! These are shoes that you can live and work in. The rugged 851 is a supportive shoe designed to meet the performance needs of the outdoor sports enthusiast; it helps regulate the temperature of your feet and keeps them dry in bad weather and wet trail conditions. The Multi-Sport 851 is also available in Women's Sizes. The great folks at New Balance have graciously and generously offered one of our followers the chance to win a new pair of the Multi-Sport 851 shoes of their very own! Just follow the instructions below for your chance to enter to win. MANDATORY ENTRY: Visit New Balance and tell me another pair of shoes that you like, please leave a link to that item. 1. Follow New Balance on Facebook and post on their Wall -- tell them Mike (Review Daddy) from Gathering My Roses sent you! 7. Grab our button and post it on your sidebar or favorite's page! 8. Enter another contest on our blog and then come back and tell us which one. This contest will be open from Wednesday, June 23rd until Monday, July 5th. Winner will be announced on Tuesday, July 6th. DISCLOSURE: I received a complimentary pair of Men's Multi-Sport 851 shoes for the purpose of review. I was under no obligation to review this item. I did not receive any monetary compensation. The opinions expressed herein are my own and based on my own personal use of and experience with the item. I would also love these walking shoes. Following New Balance on Facebook and left a comment. Now following New Balance on Twitter. Now following New Balance on Facebook. I'd love to get the New Balance 474 Womens Lifestyle shoes! are ones that he will LOVE!!! to try. I LIKE!!! New Balance on FB and told them that Mike sent me. I love the WW576 walking shoe! I also like the 876 outdoor shoe. i entered your cosmetique giveaway! I love the pink NB - WR993. I would love the WW1442 walking shoes. Im very fond of these! The New Balance 876's look very nice. 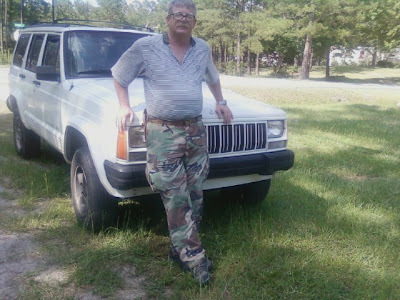 I Follow New Balance on Facebook (Margaret E. Smith) and posted on their Wall -- telling them Mike (Review Daddy) from Gathering My Roses sent me. I like the WW1442 walking shoe. I like the 760 for kids. I really would love these shoes for my daughter! I love the toning shoes.Thanks for the chance. I'm wearing a pair of these walking shoes - MW576 - and they've helped my feet feel much better. http://www.newbalance.com/products/MW576/ Would like to try the giveaway shoes too. I would wear the WX622. They look nice and comfortable. I like New Balance on FB. Didn't see a place for fans to leave comments. I like the women's New Balance 576 walking shoe. 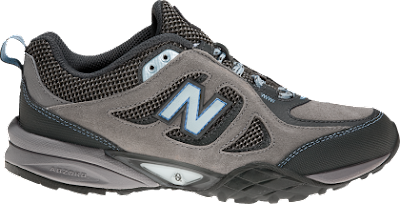 I'd also love a pair of these walking shoes: http://www.newbalance.com/performance/walking/products/WX1210/ to wear on my daily beach walks with my Dad. Who knew they made such dressy shoes? I think my hubby would also like this shoe. The 755 walking look super comfy. I like the New Balance 060. Entered the Select Comfort giveaway. I like the Rock and Tone shoes! I would love to try the MR749! I would probably get the walking shoes. Thanks. I'd also love the WR662 running shoes. I follow NB on twitter. I'd like to try the New Balance 9500 Cushioning. A fan of Gathering My Roses on facebook! I am a Facebook fan of New Balance (Aimee Waerhouse) and left a wall comment that you sent me. 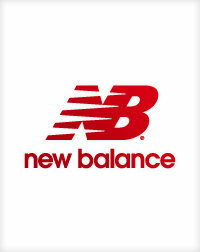 I am following New Balance on Twitter (@Nelsby). I'd love the DS100. Thanks! Follow New Balance on Facebook and posted on their Wall -- Mike (Review Daddy) from Gathering My Roses sent me! I like the kid's 993 in pink!